The responses vary greatly and, although some would claim that their response to this question is THE answer, I’ve found a number of replies that I might agree with. One common response is, “I am responsible for motivating my team.” While motivation and leadership are often mentioned in the same breath (and rightly so), I’m not so sure I agree with this response. The thought of a boss-turned-motivator brings to mind images of Ricky Gervais and Steve Carell (David Brent and Michael Scott in British and American versions of The Office) dressed in their finest workout gear, flailing about the conference room while the boom box accompanies with a rendition of Queen’s We are the Champions. Entertaining, somewhat sad, but not very motivating. We have a number of organizations that approach us with the ultimate goal of increasing employee engagement. This is certainly a worthwhile goal. By measuring employee engagement, we can then address those areas that will create the circumstances and processes by which engagement can occur or increase. But, there is also a flaw in the way many companies approach the idea of engagement. Organizations generally start off with the question: “How do we motivate them to… (insert your latest change initiative here)? This implies that motivation is something done TO your employees — something inflicted upon them. This also assumes that employees are extrinsically motivated. In other words, they are “motivated” through external reward (or punishment). As an employee, these rewards may help me in my desire and efforts in moving toward that reward, but I then establish a pattern of moving to the next reward. This is not motivation. This is, as psychologists point out, operant conditioning (behavior modification in which the likelihood of a specific behavior is increased or decreased through positive or negative reinforcement). My “motivation” then becomes hopping from reward to reward, rather than in intrinsic motivation to perform and help the organization achieve. This is not to say rewards don’t work — of course they do. However, they do not ultimately result in motivation, and are generally short-lived. These areas are within the purview of the senior team. 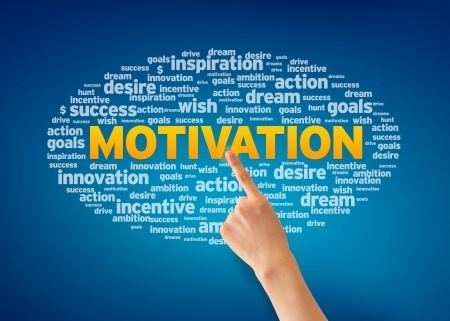 However, the reality is that motivation is local in that it occurs at the individual level, and is largely impacted by that individual’s direct manager and working environment. Does this mean that motivation is not a component of a manager’s duty? No. Going back to Jim Collins’ theory, if we have the right people in the organization, they will be self-motivated. Getting the right people on the bus (team) — who will then be self-motivating. Creating the environment in which these people can choose to be motivated (notice that we are not motivating them). Managing in such a way as to not de-motivate. Going back to our original question, one of the primary responsibilities of a leader does relate to motivation. A direct supervisor, regardless of his/her level within an organization, has tremendous impact on motivation. However, he or she can only get the right players and create the right environment — and then, not blow it. This was originally published on the DecisionWise blog. Tracy Maylett is the Chief Executive Officer of DecisionWise, and co-author of the award-winning book, MAGIC: Five Keys to Unlock the Power of Employee Engagement and The Employee Experience: How to Attract Talent, Retain Top Performers, and Drive Results published by Wiley & Sons. He is responsible for guiding the overall strategy of DecisionWise, as well as leading large-scale change efforts for clients throughout the globe. Tracy has a doctorate in Organization Change from Pepperdine University, an M.B.A. from Brigham Young University, and a B.A. in Education from Utah State University. He has also received certification as a Senior Professional of Human Resources (SPHR), as well as earning SHRM-SCP credentials.